Linden Lab lost me for a week. Now I am back!! 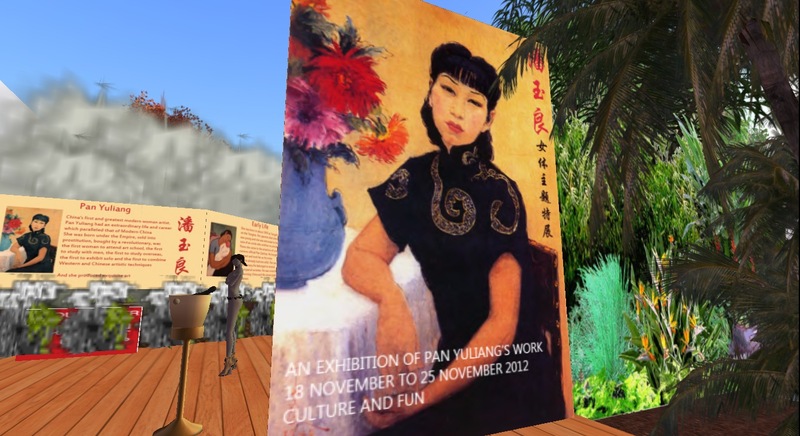 Sunday I attended the opening of the very first "Culture and Fun" exhibit of a wonderful artist, Pan Yuliang. "Culture and Fun" is a group that sends out very interesting notices everyday with quotes and historical perspectives. ”We occupy with cultural things in widest sense. This includes every kind of music, the belles-letters, poems, philosophy, history, painting, architecture and all other more or minor aesthetic and fine arts” is the group vision. Now they are starting a new venture of exhibits by artists that not only display their art but give you a wonderful background on the artist. 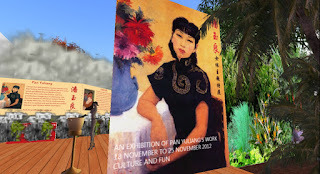 Pan Yuliang is recognized world wide as China’s first modern artist. She had an extraordinary life and career which paralleled that of Modern China. She was born under the Empire, sold into prostitution, bought by a revolutionary, was the first woman to attend art school, the first to study with men, the first to study overseas, the first to exhibit solo and the first to combine Western and Chinese artistic techniques. And she produced exquisite art. Her entire history is available in several languages at the exhibit. 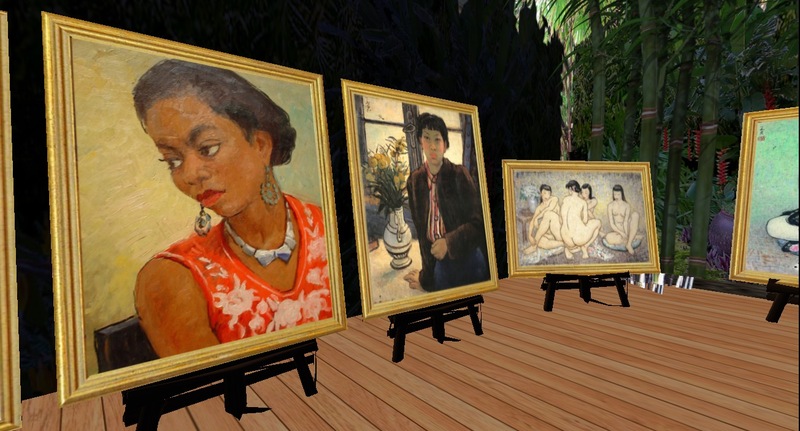 I recommend that you visit the exhibit which will end . The group founder, Lizzy Pleides, told me that the exhibit was put together by Tessa Zalivstok and Jaelle Faerye. There will be more exciting exhibits to see . This one will be there until November 25 or perhaps longer. For more on Pan Yuliang, check out this Wikipedia article.